For all the focus on 5G at Huawei’s event, operators were also keen to stress the importance of the evolution of LTE networks, in order to support new services and business models and to provide a solid foundation for 5G when operators are ready for commercial launches. 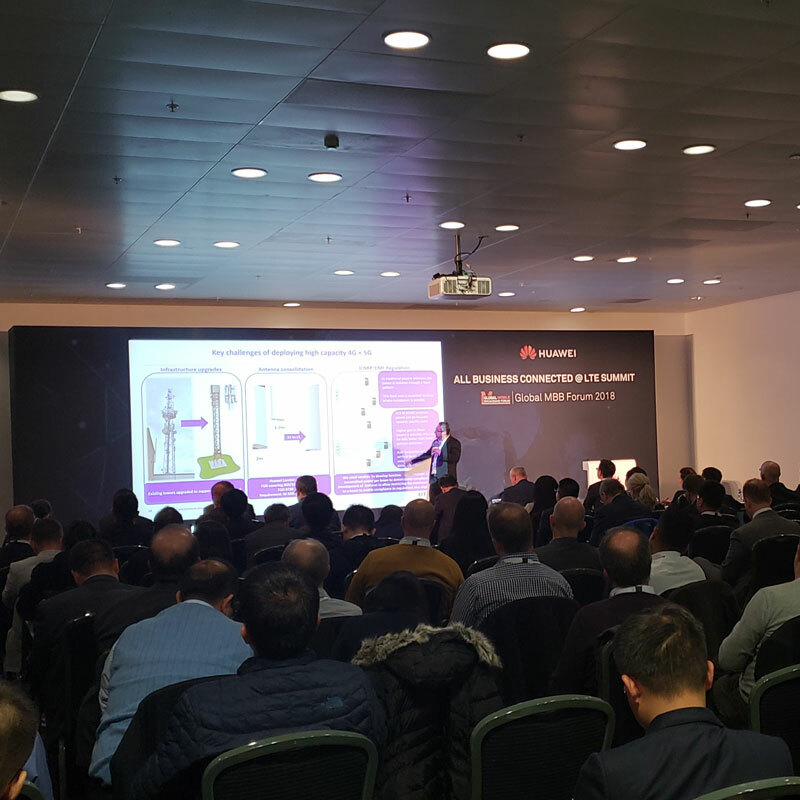 Opening the All Business Connected @LTE Summit track, Will Zhang, president of the strategy department at Huawei, said “we want people in our industry to be clear that LTE is a fundamental part of 5G”. Indeed, with early 5G launches using the non-standalone (NSA) version of 5G, LTE plays a critical role in enabling next-generation mobile networks, as well as supporting the delivery of high-quality mobile broadband and cellular IoT services. But LTE also has an important role to play when it comes to legacy technology. Pointing out the growing complexity of operator portfolios, with 2G, 3G and 4G co-existing, and 5G set to join the roster soon, Zhang argued that there is an economic benefit to focusing on LTE investment, so that older networks can be phased out: “We should look at LTE to quickly take away services from 2G and 3G,” he said. Describing Switzerland as a market where “quality is everything that counts; you can’t sell anything that isn’t quality”, Elmar Grasser, CTO of operator Sunrise, said with high quality 4G services being widely available, “2G and 3G is perceived more and more like a network failure”. He said that in order to deliver an outstanding network, investment is needed in rural and indoor coverage, as well as in coverage for public transport routes. “To have a very good network pays out. A very good 4G network is the best preparation for 5G,” he said. Stephen Holmes, head of RAN design & planning at BT/EE (pictured, right), pointed to the company’s LTE network as having strong coverage, in part due to its role in delivering the UK Emergency Services Network using its commercial infrastructure, which obviously requires broad availability. With the operator set to launch 5G in 16 major cities in 2019, Holmes said it is “very much in the architecture looking around dual connectivity”. LTE will provide an anchor layer when in 5G New Radio coverage and will provide a “4G cushion” when users are beyond 5G NR range. Its existing infrastructure will also continue to support initial IoT services (NB-IoT or eMTC). Jaime Lluch, director radio access network at Telefonica Germany, highlighted the challenges the company saw in the country, where it combined its networks with those of E-Plus following an acquisition while having to continue its LTE network build at the same time: “After a big effort, we are in the final phase of this consolidation programme,” he said. “Of course, we are getting ready for 5G, but what is really important is growing our LTE network,” Lluch said. In addition to boosting coverage in rural areas, the company is also looking to meet booming customer capacity requirements: “Our traffic is growing like hell; we have a huge concentration of traffic in cities”. In order to do this, the company is using spectrum across four bands (800MHz, 1800MHz, 2100MHz and 2600MHz) for its LTE services, balancing coverage and capacity, and is increasing its deployments of higher order MIMO infrastructure. And while 5G NR rollouts will begin in the main capacity hotspots in the coming years, “the main place where we need to put our focus is on the 4G network”. Lluch also pointed out that 5G using mmWave spectrum has the potential to support fixed wireless access services in some markets: a theme on which other participants were able to develop. The potential for 5G to deliver robust fixed wireless access services (Wireless-to-the-X/WTTx) has been central to many 5G trials and early commercial launches, due to the fact that it removes some of the challenges around mobility and device availability. But a look to the 4G realm indicates that WTTx is a perfectly viable business opportunity which can happily co-exist alongside mobile and IoT applications. Ron Ng, head of access engineering at Globe Telecom, said while mobile penetration is high in the country, it is “in the home where the problem is”. The company has been rolling out fibre and while this has seen good growth “it’s really nothing close to what we want to do”. Ng cited issues including long time-frames to get permissions to deploy; geographic issues (the Philippines has many islands); an urbanised population; and socio-economic challenges as posing hurdles to the growth of its fibre penetration. It looked to LTE WTTx in 2014, which has enabled Globe Telecom to address a wider market: “At that time, we were going into uncharted territory. LTE was new, TDD was new, we were among the early players in wireless broadband,” he said. “We managed to grow our subscribers quite a lot on the post paid, then the demand for high speed got higher and higher as we got the OTT players in,” he continued. The deployment of massive MIMO technology is enabling Globe Telecom to increase its speeds and, looking forward, Ng believes 5G can offer “fibre-like speeds”. Beauty Apleni, CTIO for consumer and small business at South African operator Telkom (pictured, left), said the company’s competitive position and spectrum assets, which include a significant tranche of 2300MHz spectrum for capacity, is well suited to WTTx, and the market has a number of characteristics which make wireless broadband an appealing proposition. An example of this is high levels of copper theft in South Africa, leading to service interruptions or quality issues for customers using the legacy network: “Once you replace it a couple of times, you start looking at the alternatives”, she said. Also, “we all know that fibre is expensive to roll out, so you don’t roll it out everywhere”, creating opportunities for a wireless alternative. Another immediate opportunity for operators comes in the form of cellular IoT propositions, enabled by standards-based technologies including NB-IoT and LTE-M. While massive IoT support will be an important feature of 5G in future, the availability of network technology designed specifically for IoT means that operators can begin building their services now, introducing enterprises to machine-to-machine applications ahead of 5G. He noted IoT business opportunities in areas such as smart energy distribution, water and air quality monitoring and efficient waste connection among many others, stating that with regard to technology, “the conventional utilities are playing a catch-up game”. Veni Shone, president of LTE solutions at Huawei (pictured, right), wrapped up the event by giving an overview of the technologies the company is offering, and demonstrations taking place here at Global MBB Forum 2018. This highlights how operators can reap the rewards available using LTE networks, as they work toward 5G launches as business and technology requirements demand.